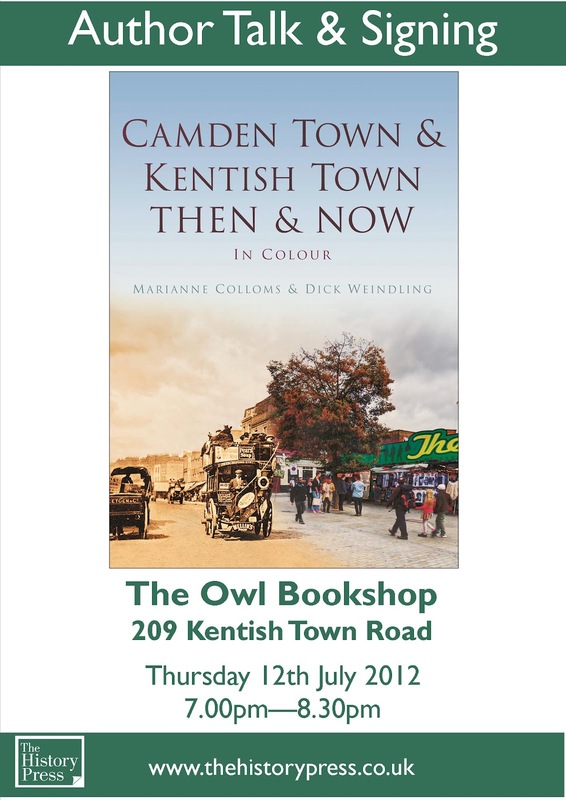 Our new book shows a series of old photos of Camden Town and Kentish Town, see together with what is there now. 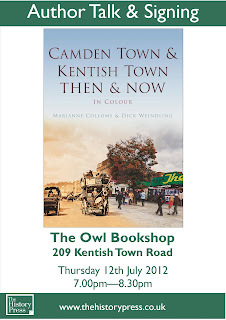 We will be doing an illustrated talk at the Owl Bookshop on 12 July. Camden Town in north-west London has become one of the capital’s most popular tourist destinations, attracting millions of people every year. 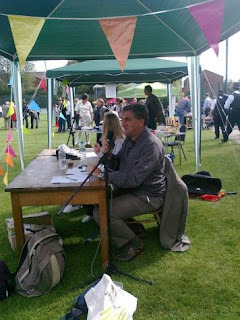 They come for the markets, the food or special events such as the annual ‘Camden Crawl’ music festival. Camden Town and neighbouring Kentish Town developed along two major routes that led to the villages of Hampstead and Highgate. A cluster of houses near the present junction of Royal College Street and Kentish Town Road grew into the village of Kentish Town. The district of ‘Camden Town’ didn’t exist until 1791, when Lord Camden obtained an Act of Parliament to develop his fields east of Camden High Street. Other landowners soon followed his example and started building. As the nineteenth century progressed, a network of residential streets was created, lined with terrace houses or semi detached villas. The main roads became prime shopping areas, supplying most of the needs of local householders, along with churches, music halls and cinemas. The Regent’s Canal opened in 1820 and the London and Birmingham Railway began running trains through Camden Town to their terminus at Euston in 1837. Two more railway companies laid tracks across the fields of Kentish Town in the 1850s and 1860s. On the roads, horse buses were joined by trams and later replaced by motor and trolley buses. Industry was drawn to the streets near the railway lines and canal, providing much local employment, as did the railways themselves. The area became a noted centre of the piano making industry. In the years immediately preceding WWII Camden and Kentish Towns suffered a general decline. The area was polluted by soot and smoke from the trains. Many family-owned houses had been converted into flats or bed-sits and become run down. St Pancras, and later Camden Council, embarked on redevelopment schemes that eradicated entire neighbourhoods, replacing old properties with new accommodation, largely in the form of blocks of flats. Comparing the old and new images shows how many streets with their own local shops and facilities have disappeared. Today both Camden Town and Kentish Town are busy cosmopolitan neighbourhoods. Good road, rail and tube links have helped promote their popularity as residential districts. Many of the pubs continue to flourish, and some have become famous as live music venues. The late Amy Winehouse, who lived locally, was a frequent visitor and performer. Disused buildings and sites along the canal and railway lines have been adapted for housing and commercial use, notably the area in and around Camden Lock. The stalls and shops offer a huge variety of merchandise but the famous pet shop that for many years sold talking parrots and monkeys, has become a café.